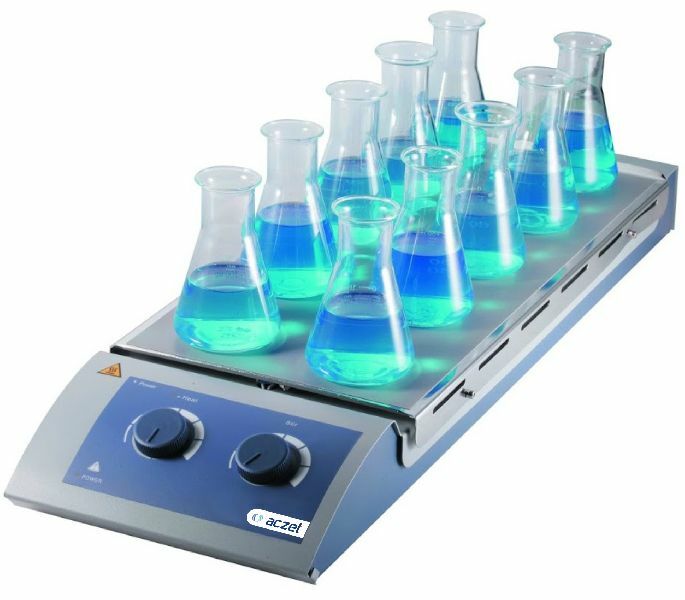 High-performance multi-position magnetic stirrer with uniform temperature distribution. Specially controlled stirring for consistency with various samples. Electronic speed control motor provides constant speed. Brushless DC motor for maintenance free operation and quiet operation. Stainless steel plate with anti-slip and anti-corrosion silicone surface.